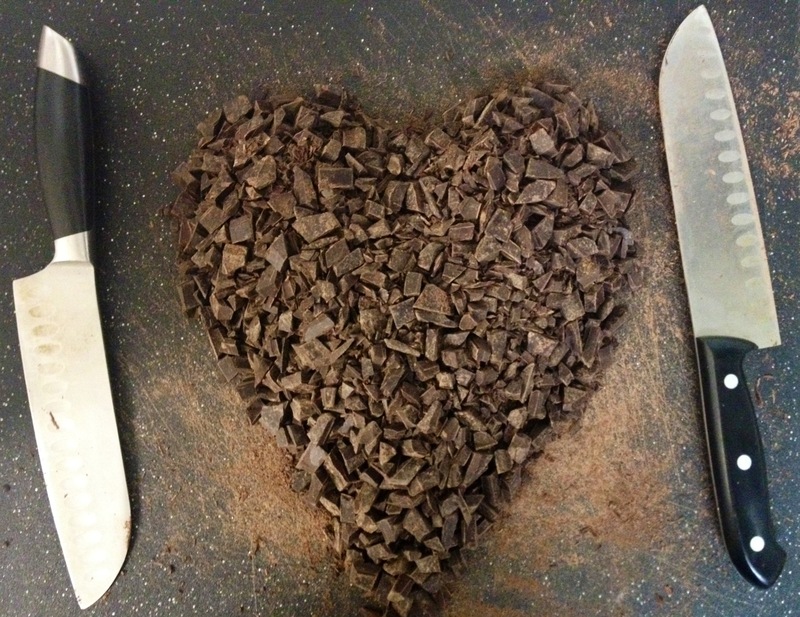 Chocolate has long been heralded as a food for the heart. It’s intimately associated with the day for lovers, the western world’s Valentines Day— when all we wish for is a beautiful heart-shaped box by that special someone. Even Hershey’s has capitalized on this connection with their famously marketed ‘kiss’ chocolates. What better way to give your lover, or desirable acquaintance, a figurative and symbolic message in a wrapper? To the ancient Aztecs, cacao was known as Yollotl Eztli, meaning ‘heart blood’. Believing that cacao was a food for the heart and that it would stimulate and invigorate the heart center. So how does chocolate actually effect the heart? Read on. Magnesium is essential for daily proper functioning of the heart. Magnesium becomes depleted in the body when we’re under stress, are taking pharmaceuticals, or have a poor diet, and as such is widely deficient in most North Americans. Reports show that North Americans consume less than half the United States’ Recommended Daily Intake. And many believe the recommended intake to be far less than optimal (source). While essential for the heart, magnesium also helps the body to reduce acid, fend off stress, and build strong bones and teeth. The stimulant effects of cacao can largely be given to it’s content of theobromine. A molecule similar to caffeine in structure, it is one reason that cacao is often associated with improving focus and providing energy. Also a wonderful molecule for the heart, it helps to lower blood pressure and is known as a cardiovascular stimulant and vasodilator, meaning it stimulates the heart and dilates blood vessels— also a reason why cacao is considered an effective aphrodisiac. Though similar to caffeine, theobromine does not stimulate the central nervous system, so it’s effects are often more gentle and subtle to those of caffeine. Also with a half life of 6-10 hours of consumption, theobromine’s effects are less noticeable and longer lasting than caffeine. This molecule is the reason that chocolate is deadly to canines. They don’t possess the ability to properly break-down and digest theobromine. Fortunately, humans are able to assimilate theobromine with out any ill effects and though we can digest it efficiently, it is still important to find one’s balance and comfort level with this powerful and ancient food. It’s interesting to think that in today’s world chocolate is often associated with obesity, diabetes, and poor health. Like so many ancient, sacred, and wild foods, the corporate world has toxified the quality and appreciation for these foods by over processing, by adding sugar and milk products, and through the natural outcomes and demands of mass production and consumerism. Considered sacred in the regions of ancient Mexico, chocolate has come as a ‘food of the gods’ and become a food for the obese and unhealthy. Fortunately for us, many of these ancient and sacred foods are making a come back (especially cacao), and with small and large producers alike striving to bring the value and joy back into food, high quality and powerful cacao is more readily available than ever. So stay Wise and enjoy on!